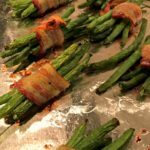 These Green Bean Bundles are wrapped in flavorful bacon and ready for the oven in under 5 minutes. Whether served as an appetizer or side dish, these are sure to be a favorite on the table! Every few weeks, my mom has “family lunch” where my brother and his family, as well as my family, head over to my parents house and enjoy a Sunday meal together. The cousins (there are six of them) all enjoy the play time, while the adults get to relax, catch up, and just connect. My mom did a BBQ theme and grilled burgers for everyone and these green bean bundles were one of the sides to go with it. She had them ready to go in no time and everyone happily ate them up. Even the kids loved them and ate their “bundles”. Truth be told, I went back for seconds because they were too tasty not to! 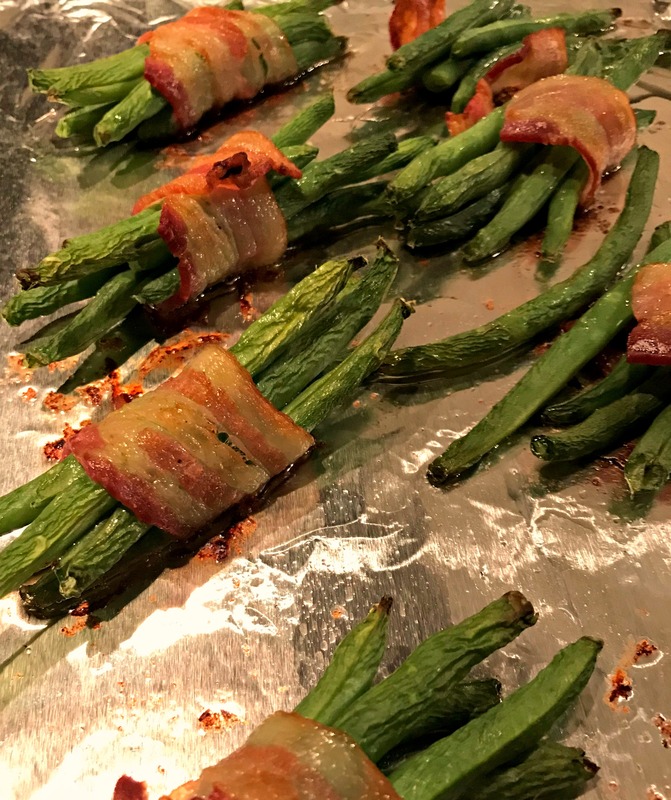 But hey, green beans are healthy….so no shame, right?! Whether these are served as an appetizer at a party/gathering, or served as a side dish when having company over….these are sure to be a favorite with all! 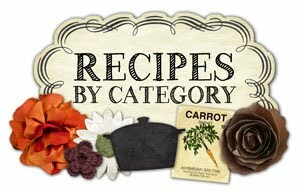 Simple, budget friendly, and quite flavorful….what more could you want, right?! 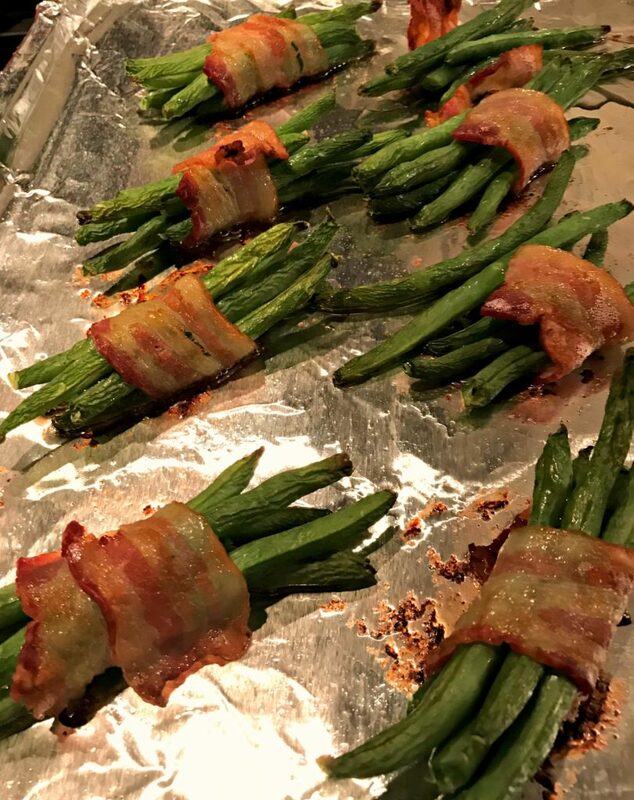 Quick to prepare, these green bean bundles are wrapped in bacon and roasted in the oven to create a tasty appetizer, snack, or side dish! Preheat oven to 350 degrees and place a sheet of aluminum foil on a cookie sheet to cover. Lay out the bacon strips flat. 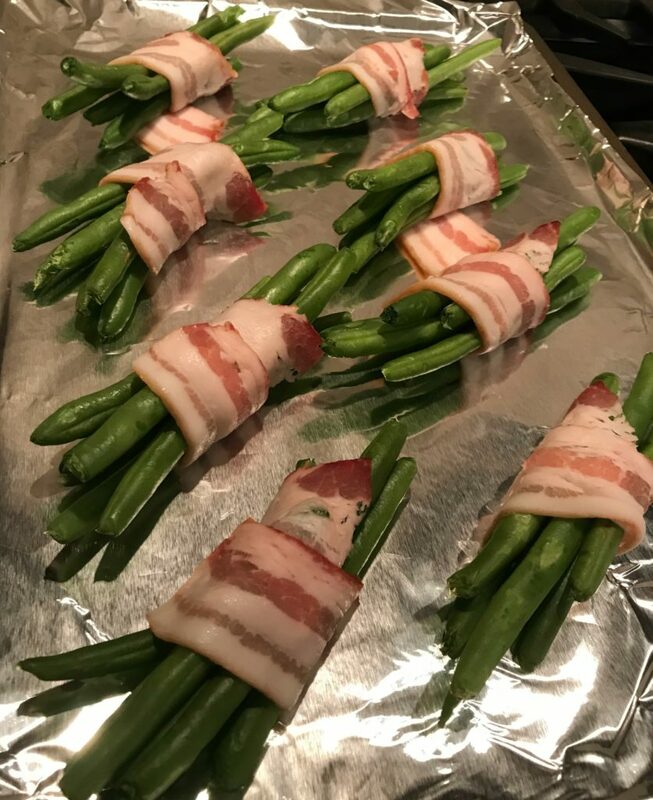 Gather about 6-7 green beans and roll them into the bacon. Place the bundle seam side down onto prepared cookie sheet. Continue until bacon and green beans are bundled. *Try not to touch the bundles to one another as it makes them difficult to separate once cooked. Sprinkle each bundle evenly with salt/pepper (even brown sugar if desired). Place cookie sheet into preheated oven and bake for about 20 minutes. 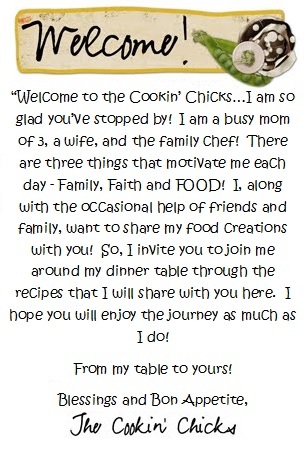 You can check out the blog at https://www.thecookinchicks.com or join the mailing list to be emailed the recipes!! Thanks!